This week the NHL Network ranked the league’s twenty best centers. Lady Byng trophy winner William Karlsson came in at 17th place, not bad for a guy who wasn’t rated in the top 100 last season. Connor McDavid, Anze Kopitar, Ryan Getzlaf and Leon Draisaitl were the other Pacific Division centers to make the NHL Network’s list. So let’s have some fun and rank the top centers in the Pacific Division. 1. Connor McDavid: There’s not much to write. McDavid has 256 career points in 205 games, averaging 1.22 points per game. The Edmonton center has more points (208), goals created (77), assists per game (.84), and adjusted points (220) than any other player in the NHL since 2015-16. McDavid will continue to remain the top center in the division, and the league for many, many years. 2. Anze Kopitar: Again, this is another no-brainer. The Kings captain has averaged almost a point of game over his career, and put up his best (1.12) PPG average last season. After 12 NHL seasons, the Slovenian continues to get better. Kopitar ended the season with a career-high 92 points, and took home the Selke trophy. Also, he’s a faceoff wizard. Against Vegas in the postseason, Kopitar posted a 60.4% faceoff win percentage. Pretty impressive, considering the puck was in his zone most of the series. 3. 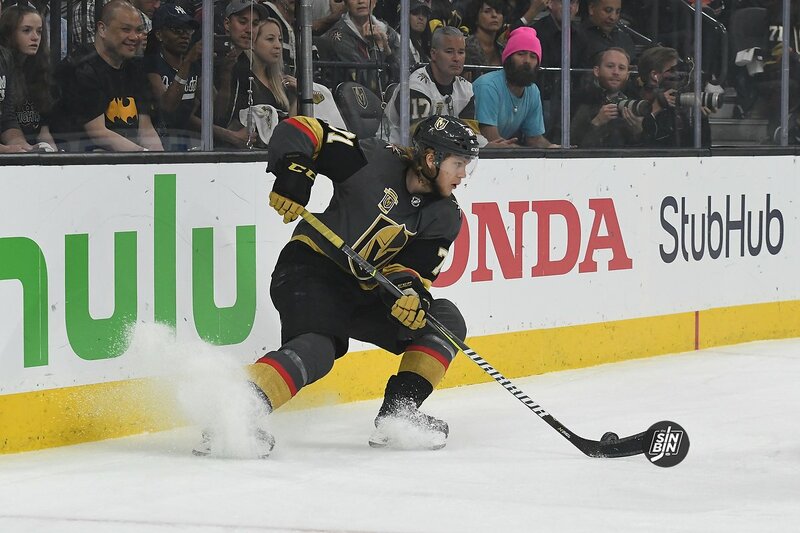 William Karlsson: I battled myself trying to be as objective as possible and at the end of the day, ranking Karlsson third behind McDavid and Kopitar was the only right decision. Most of the players on this list have consistently produced for multiple seasons. However, the overall skill Karlsson showcased leads you to believe he’ll repeat his production from 2017-18.